...with no drugs or surgery. Read this inspiring article on real life experience of Tracy Reifkind, featured in the Vitalics magazine (PDF file: 600 KB). Check out Mark's YouTube Channel! 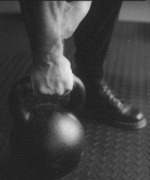 NEWThe Kettlebell Swing For Power Athletes by Mark Reifkind, Master Instructor. The Repetitions within a Single Repetition by Mark Reifkind, Master Instructor. Get a Grip By Mark Reifkind, Master Instructor. 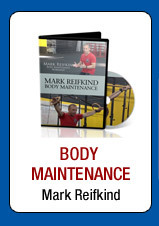 Strong Mind/Strong Body By Mark Reifkind, Master Instructor. Why A Kettlebell? By Mark Reifkind, Master Instructor. Why a kettlebell? To bring out the athlete inside. 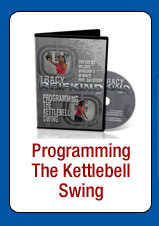 Kettlebells are seemingly everywhere these days in the fitness world. The AK-47 of Exercise Equipment By Pavel Tsatsouline, Chairman. Mikhail Kalashnikov, the inventor the (in)famous AK-47 assault rifle, recently passed away at the age of 94. RIP. An article by Mark Reifkind, featured in the Hard-Style magazine (PDF file: 612 KB). Lose 100 Pounds in Less Than A Year — Read this inspiring article on real life experience of Tracy Reifkind, featured in the Vitalics magazine (PDF file: 600 KB). The School of Strength. The Gold standard for KB training and information. The best compilation of current strength and fitness articles on the web. All human beings should be able to perform basic maintenance on themselves. The home of Kelley Starrett and all things mobility and body maintenance. Strength & Conditioning Equipment. The best source for kettlebells, training gear and apparel. When you need to get in serious cardio shape but don't or can't run - GoRuck. For all things Olympic Lifting. The best information on powerlifting available.